According to Gallup, only 15% of employees worldwide are engaged! Employees are your company’s greatest asset. It is therefore imperative to make employee engagement a top business priority. bountiXP was created to address just this. It is human-centred by design and aligns your company’s values with your strategic business objectives. Its real-time recognition timeline and mobile-friendly design is perfectly suited to meet the needs of your diverse workforce. In this blog post, we will show you 4 ways bountiXP can help you boost employee engagement to ensure your company is as engaged as it should be. It’s a values-based recognition platform designed to recognise and reward employees for behaviours that reflect a company’s core values. Your core values are the reason why your employees work so hard to achieve your company’s goals. It provides context to your business’s bigger picture and objectives. This clarity promotes employee buy-in and loyalty. bountiXP believes that the core of effective engagement and recognition begins with your company’s values. This means that when you’re setting up your company account, one of the first things you need to do is add your company values to the platform. The values form the foundation of how your managers and employees will participate on the platform. Sending “thanks” or “recognition” can only be sent by attaching a core value to it. This process reinforces your company values with your entire workforce. On-the-go recognition is critical when you take a moment to consider that there are currently 3.03 billion active social media users across the globe! 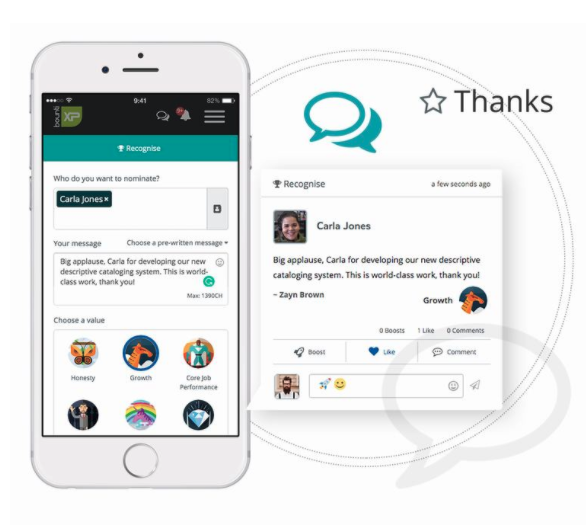 This cloud-based platform allows your participating employees to send and receive thanks instantly, right from their mobile (or desktop, of course). The mobile-friendly design makes it appealing to your younger workforce. The user-interface is easy to adopt as it is similar to popular social media networks. It boasts a central recognition timeline, which encourages likes and comments. bountiXP features a leaderboard which shows you who’s sent the most recognition, but also who’s received the most recognition. This promotes some healthy competition which can be a great motivator for participation. It’s time to turn your analytics into insights. Senior leadership and your management team will have access to all the data surrounding the activity and participation on the platform. This data gives management a 360-degree view of how their employees are participating on the bountiXP platform. Individual feedback - It can show you the data related to an individual employee. 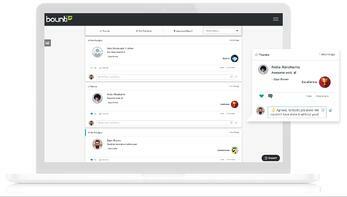 This feature could help identify otherwise unknown top performers and influencers within your company. 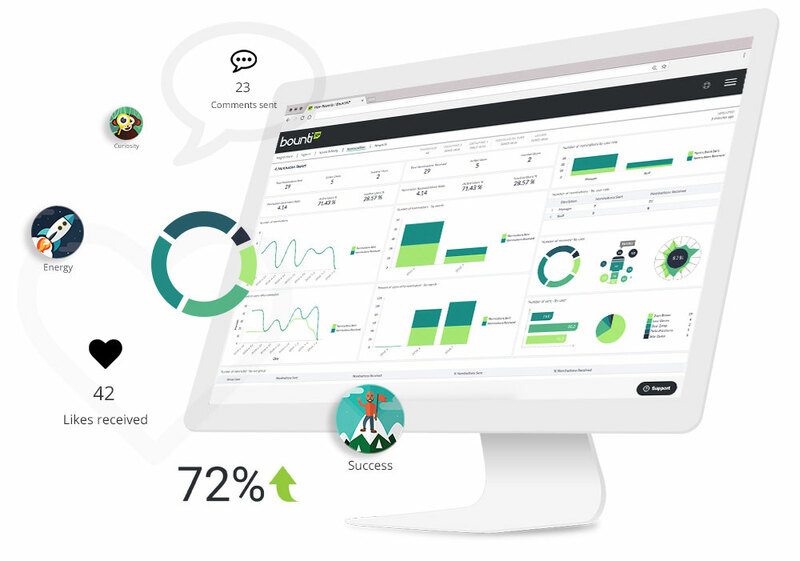 Interactive online dashboard - The real-time reporting dashboard provides insights into your engagement and recognition performance. Downloadable reports - You can create and download reports that are relevant to the insights that you’re looking for. Business intelligence - The insights that you’re able to gain through the bountiXP platform enables decision-makers to turn them into actionable strategies to inform business direction. Effectively tracking employee interactions can help leadership identify patterns such as employee collaboration, productivity and inter-departmental interactions. These insights offer leadership clarity into the state of the workplace environment and provides the opportunity to set goals for where you want to be within a certain time-frame. 4. Rewards and fulfilment right within the platform. Rewards form a key part of any company’s recognition strategy. While thanks and appreciation are effective, tangible rewards – as part of a recognition program have a huge impact. According to a 2016 Incentive Federation study, 84% of US businesses use non-cash rewards (like reward points, gift cards, incentive travel and merchandise) to recognise and reward. Did you know that 88% of employees agree it’s important that employers reward employees for great work? Personal, meaningful and memorable reward experiences are highly effective. And in today’s data-driven workplace, you’re able to reward your employees with so much ease. 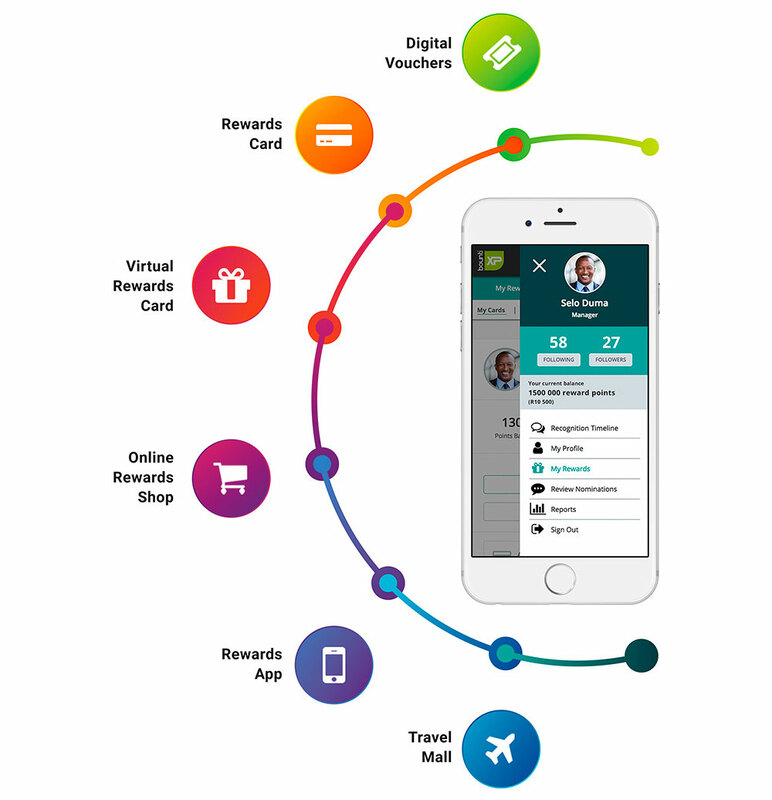 bountiXP offers you real-time, human-centred recognition which enables measurable behaviour change that acts as a powerful catalyst for employee engagement which drives business results. When only 15% of employees are engaged globally, it's safe to say that employee engagement is no longer a nice to have but rather a necessity to driving sustainable business growth for your company. bountiXP can help you do just that. Not sure how to start using tech to aid your recognition efforts? Click below to sign up for a 30-Day FREE trial of bountiXP to see the results for yourself.